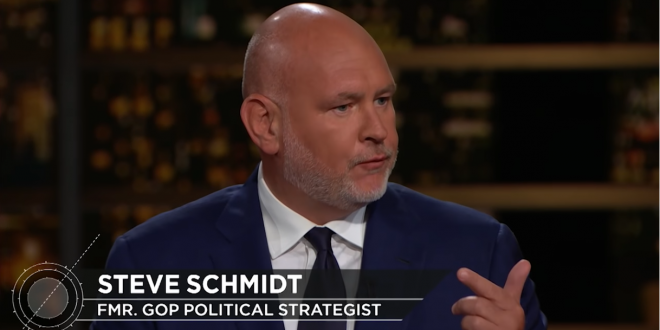 Steve Schmidt: 35% Of The Country Are Trump Cultists - Joe.My.God. “This is deliberate. This is an assault on objective truth. And once you get people to surrender their sovereignty, what is true is what the leader says is true, what is true is what the leader believes is true, even though what’s true is staring you in the face. when that happens, you are no longer living in a democratic republic. 35% of this country has checked out. They have joined a cult.They are obedient. They are obedient to the leader.” – Steve Schmidt, speaking last night on Bill Maher’s HBO show.